You have planned the perfect vacation getaway. You have rented a luxurious mountain cabin with an amazing view of a waterfall in Alpine Helen GA, and you have planned out an itinerary. There is so much to see and do that you may have not considered the great modes of transportation that Helen has to offer. Depending on whether you want to travel from one point to another or go sightseeing in and around Helen there are fun and exciting ways to do just that. Carriage Rides are a big attraction in Helen. If you want to really enjoy the town and create a memory in the process you can pay a visit to the Alpine Carriage Company for a fun-filled ride in a horse-drawn carriage which has become one of the top attractions in this North Georgia alpine town. 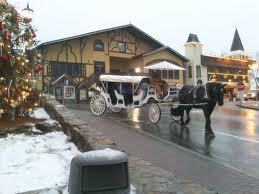 A carriage ride can be the perfect addition to a romantic evening, or a fun-filled experience for the entire family. 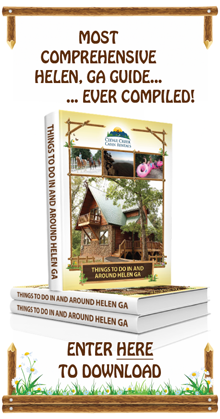 If sightseeing is what you are looking for then Helen, GA has what you are looking for. Horseback riding is more than just an enjoyable activity. It is also a great way to explore the countryside around Helen along some of the trails in the Chattahoochee National Forest. Sunburst Stables and Chattahoochee Stables offer plenty of opportunities for touring the sites on horseback. 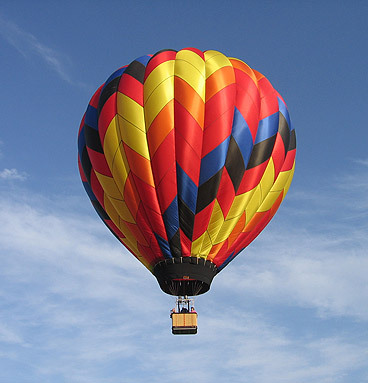 Be transported through the sky over Helen, GA in a hot air balloon. Balloons over Georgia can give you the opportunity to see the sites like never before from a birds-eye view high over the city. You can see the distant Blue Ridge and Appalachian mountain ranges, Lake Lanier, Stone Mountain and Kennesaw Mountain. On clear days you can even see the Atlanta skyline. Helen has a lot to offer transportation seekers. Making visits to all of the Helen GA Attractions a lot easier!